That’s how TV producer Alycia Rossiter describes “Dating Around,” Netflix’s newest dating reality show. After 11 years of working as a producer for “The Bachelor,” Rossiter became disillusioned with the franchise and decided she was done with dating shows. That is, until she was approached about a proposal for “Dating Around,” a refreshingly simple show about six single people going on five first dates. “Dating Around” does not take place in a mansion or beachfront property. There is no exchange of roses, no sequined gowns and no post-date interviews. There are no dramatic elimination ceremonies or silly games between contestants. The show’s premise is simple — each subject gets one episode to go on five blind dates and to decide whether they want to see one of those people again. The show takes place in New York City, in various bars and restaurants of the subjects’ choosing. “Dating Around” is brilliantly produced and edited – it almost feels more like a docuseries than a reality show. In a single 25-minute episode, five dates are chopped up and seamlessly spliced together, so they appear to unfold concurrently rather than one after another. Different conversations with the same subject seem to bleed into one another as the blind date across the table turns into another date asking the same questions. All of the dates start with drinks, move on to dinner, and end with the possibility of a second location such as a bar or lounge. While the show begins conventionally, with an attractive real estate agent named Luke dating five conventionally attractive women, it later goes on to feature diverse subjects who better represent New York’s demographics. For example, in the third episode, we see Lex, a gay production designer, attempt to turn down a second date with another man. In the fourth episode, we see Leonard, a widower in his 70s try his hand at an impromptu dance session with one of his dates. The show not only highlights New York’s diversity – it also explores how the tediousness of dating itself can differ across different demographic groups. 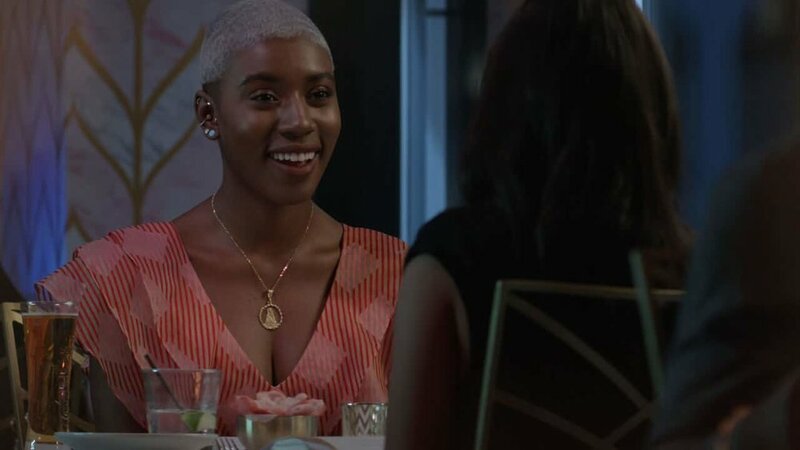 Mila, a queer Black woman from episode six, navigates flirting completely differently from, say, Gurki, a divorcee in her 30s from episode two. Some dates go well, and some completely bomb. Some dates involve tense moments of condescension, and certain jokes don’t always land. And in episode two, we see a man telling his date "no one could ever trust you" after meeting her an hour before. It’s painful to get through these cringey moments, but you’ll feel compelled to keep watching. For a reality show, Dating Around does a surprisingly good job at exploring gender, culture, sexuality, age, intimacy and intimidation and how these all come into play when meeting someone new. Though its stripped-down, simplistic nature can come off as bland or mundane, it’s important to note that “Dating Around” intentionally doesn’t manufacture the same kind of artificial, hyper-mediated drama of shows such as “The Bachelor.” At every turn, the drama on “Dating Around” feels real. The charm of the show doesn’t lie in its drama, however, but in its visible attempt to showcase what romance looks like for people that aren’t frequently highlighted on TV. Ultimately, “Dating Around” is marvellously of the moment – it’s refreshing and worthwhile to watch a dating show featuring authentic, human stories that seek to capture humanity rather than exploit it.